The Heinlein Juvenile novels ranked- because the Internet is suffering a desperate shortage of lists. I don’t care if it features Space Nazis, it’s still the weakest entry among the juveniles. That can largely be explained away by it being the first of them, though, so I suppose that is forgivable. Also, Space Nazis are a thing in it. The characters are extremely thin, it has Space Nazis, it uses that damn rich/genius/magical/whatever uncle trope to kick off the adventure, there are Space Nazis, and did I mention Space Nazis? Okay, so I actually still like it a lot, even if it is the weakest entry in my opinion. They kill Space Nazis! Woo! Seriously, were you expecting it higher? It’s good, but there are way, way too many moralistic speeches in it. It’s as John Galtian as a book can be without me hating it. It’s certainly not bad at all, it deserved its Hugo, but… Too many speeches, too little action. Also, remember that I’m judging it on YA criteria. It would be higher up normally, it’s just not great as YA in my opinion. I like it more reading it as a non-YA novel. This one was always kind of weird for me. I mean, I get that it was kinda racially groundbreaking (in a good way, unlike some of Heinlein’s other, later work) for its time, but… I dunno, just never liked it as much as some of the others. Well, it might be better to say I was less inspired to reread it than the others higher up the list, even as a kid. I was never able to put my finger down as to why, either. It is less action packed, I suppose, but that’s not it either. Dunno. I like this one, but I don’t have any thing particularly strong to say about it. It’s about as middle of the road as the books get, which is still a very strong compliment. It’s a fun book, though the characters aren’t super memorable. 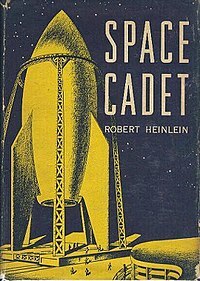 It’s an interesting take on Heinlein’s views on nuclear proliferation, and definitely gives some insight into why he became such a supporter of the Strategic Defense Initiative later in life, leading up to his memorable dispute with Arthur C. Clarke. Now we’re really getting into the good stuff. Red Planet has memorable characters (Especially Willis, who is one of the archetypal adorable scifi sidekicks), great action scenes (especially the long trek down the frozen canal), and a much more enthralling setting than the previous books. It also apparently had an animated miniseries based on it, which I literally didn’t know about before writing this, so… there’s something to look forwards to soon. It also has by far the best original cover of any of the books. 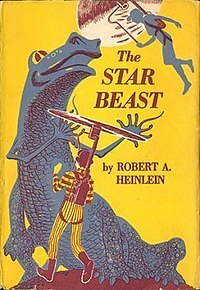 I believe this was the first Heinlein novel I ever read, though there is no way to say for sure, excepting finding my library records from nearly twenty years ago. 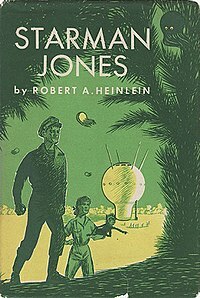 Starman Jones is one of the bildungsroman Heinlein juveniles, rather than just being the usual adventure yarn found on this list (though it is very definitely an adventure yarn, too). It’s a damn enjoyable one, too. The others are all going to show up higher on the list, though an argument could be made regarding Space Cadet being one too. (I personally don’t think so). The only one of the juveniles with a POV female protagonist (though many of the others have extremely strong female characters or even non POV female protagonists, this one deals with much more complicated political themes than many of the others. Podkayne and her family are extremely memorable, and Podkayne makes a great unreliable narrator, with the entire book being in the form of her diary entries. This one actually has two endings, which I’m not going to spoil, but one of them would put the book higher on the list than the other for me. I’m not saying which, though. (Okay, it’s the original ending, even though the revised ending was the one I read first as a kid). A family fixes up a space ship and goes on a tour of the solar system. Sounds pretty bland, but the novel itself is frankly charming. Even though the kids are hypothetically supposed to be the protagonists, Grandma Hazel steals the show again and again. (Given that she shows up in The Moon is A Harsh Mistress, one of my favorite Heinlein novels, this might partially be my own bias.) The flat cats featured in the books were most likely the inspiration for Tribbles, too. This one was honestly difficult for me to rank, but all of them were this high up the list. This one has some of the most memorable characters (Mother Thing, especially) and scenes, and definitely goes farther out in to space than any of the other juveniles. 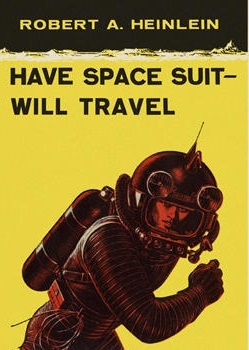 The titular space suit isn’t just there for the title gag, either- it’s pretty much a character of its own. 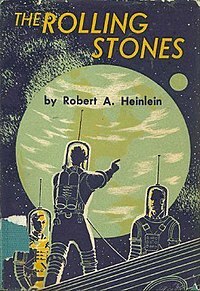 Telepathy in science fiction usually just annoys me anymore, but Heinlein’s always been an exception, and Time for the Stars is almost certainly my favorite book featuring it. It also deals with overpopulation, but there are much better books out there about that. (Stand on Zanzibar, notably.) Tom and Pat Bartlett and the rest of the cast are just as memorable as any of the other later juveniles. Arguably also a bildungsroman. I once loaned my copy to my mom, who took over ten years to read it. That’s not the worst, though. Another book took her fourteen years. Also notable for having the absolute worst cover art of any of the first editions. Seriously, look at that. It looks like a breakfast cereal ad or something. 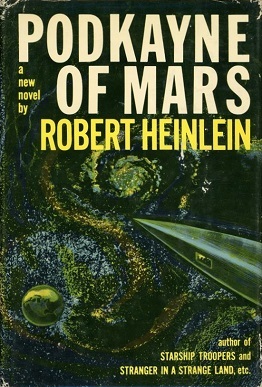 Unarguably one of the Heinlein bildungromans. This one is just awesome. 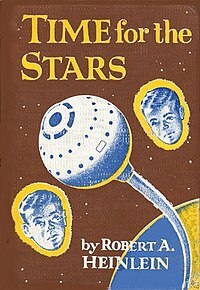 Also, to the best of my knowledge, it has some of the first examples of space nomads, though I could be wrong. 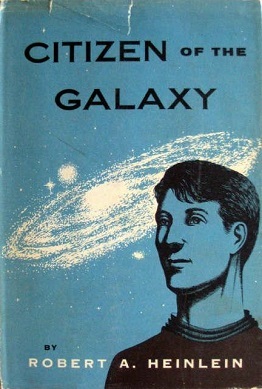 Thorby is one of my favorite protagonists in the Heinlein juveniles (though the supporting characters usually tend to be more interesting- in this case Baslim). It has much better action scenes than certain others on the list (*Cough Between Planets Cough*), interesting and numerous settings… man, I need to reread this one again soon. 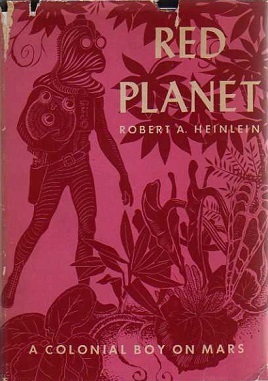 The only Heinlein novel to feature a black protagonist (though he isn’t the only non-white protagonist: Johhny Rico from Starship Troopers was Filipino). Bildungsroman. It’s by far the best book in terms of action scenes, too. Tunnel in the Sky features a group of youths stranded on a distant planet, forced to survive with very little technology. Published a year after Lord of the Flies, it takes a path in very direct opposition to it- it emphasizes humanity’s will to build societies, and takes a very optimistic, though harsh, bent. Also, terrifying alien wildlife. Beware of stobor! This is the Heinlein juvenile I just keep coming back to again and again and again. I’ve read it more often than any three other books on this list. It’s a bit of a weird choice, too- the only fight in the book is a brief fistfight that the protagonist gets knocked out with a single punch, and the action is literally about traveling to another world and farming. It’s a pioneer novel, and bildungsroman (notice a pattern?). The twist near the end is a little tacked on, but it doesn’t hurt anything. It deservedly won a Hugo. 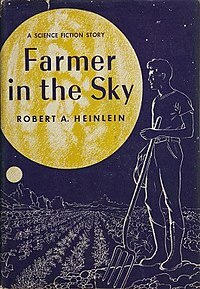 Farmer in the Sky holds a special place near my heart. I remember my mom talking about much she loved these (except Starship Troopers, which she found unfinishable). As I recall, she read Have Spacesuit Will Travel, then promptly read it again. 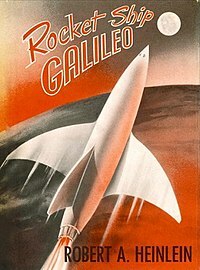 They’re all great in their own ways, even Rocket Ship Galileo. They are, en masse, among the most accesible sf there is. Plus they’re all really short, so they’re quick reads. I’ve got a lot of Heinlein’s later stuff. Maybe I should start with these to get a taste of his style first? I wholeheartedly agree with that idea- his later stuff can be great, bur it can also be absolutely terrible, depending on the time period. The juveniles remain among his most popular works for a reason.